Today is the twenty first day of Advent. 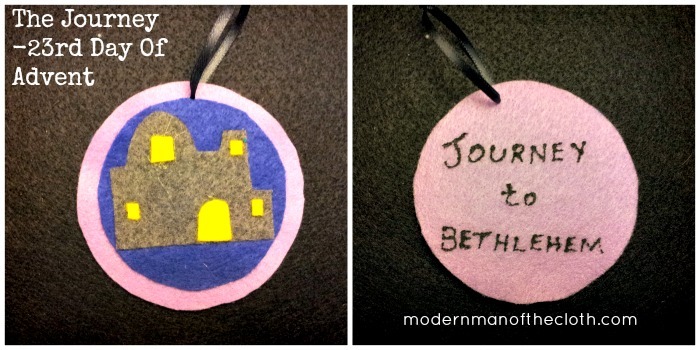 Each day I will post a short blog aimed at kids that will help tell God’s story from the beginning to the birth of Jesus. 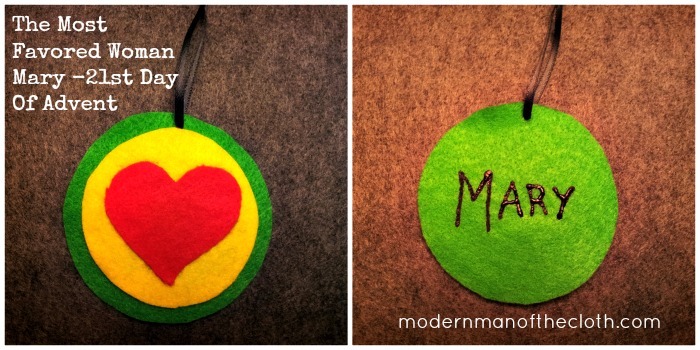 And each day Meghan, my wife, will make a Christmas Tree ornament that helps us to remember the day’s Advent lesson. 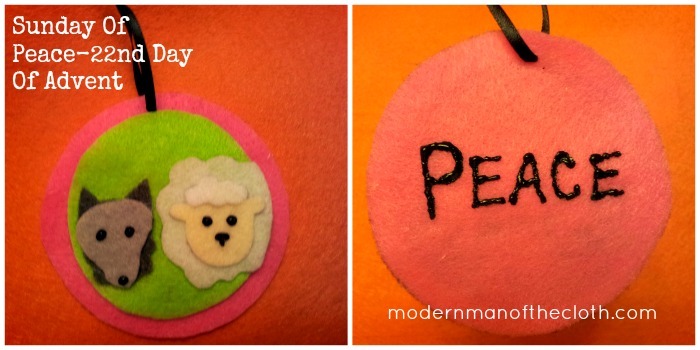 If you want to make them along with us all you will need is some felt, some glue, and some ribbon.I hope you will join us each day this Advent.You can catch up on any post you may have missed by clicking here. I am always nervous when I hear someone say something like, ‘Oh Christopher you are just the person I was looking for’. I am nervous about that because I know that greeting means they want me to do something. Normally I don’t mind doing what they ask me to do, but still I always get the sinking feeling right before. I get that, ‘oh goodness what do they want’ feeling. Have you ever had it? When Mary heard the angel’s greeting she thought, ‘Oh goodness what is this about?’ What the angel told her was amazing, and pretty unbelievable. She was going to conceive a child by the Holy Spirit, that she will name Jesus. And this Jesus will become a king over a kingdom that will have no end. This is a lot to take in for anyone, but Mary was likely only 13 at the time. Most of the 13 year olds I know are not ready for something like this. Come to think about it I am not sure I know anyone at any age that is ready for something like this! Mary’s answer to the angel was just as incredible as his message. She basically said, ‘Ok I am in, let everything happen the way you say it will.’ Because of this Mary is a role model to me. I can be slow saying, ‘OK God I am in, do what you want’. Mary jumped right in. Today on the twenty first day of Advent we remember that we need to say yes to God’s plans.